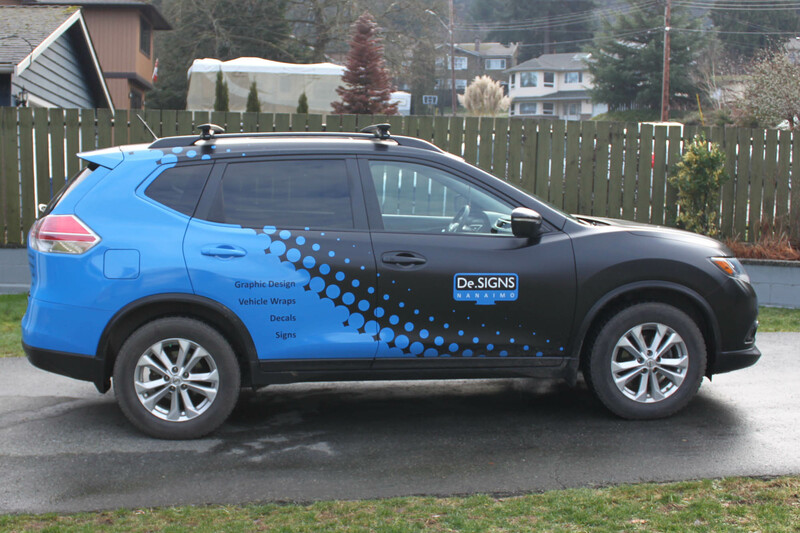 We finally got a chance to wrap our shop vehicle, and we are very happy with the result! 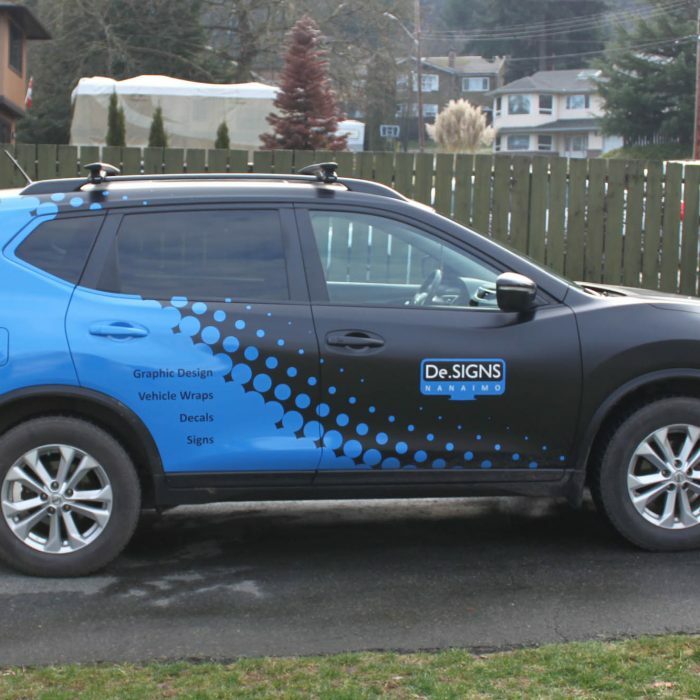 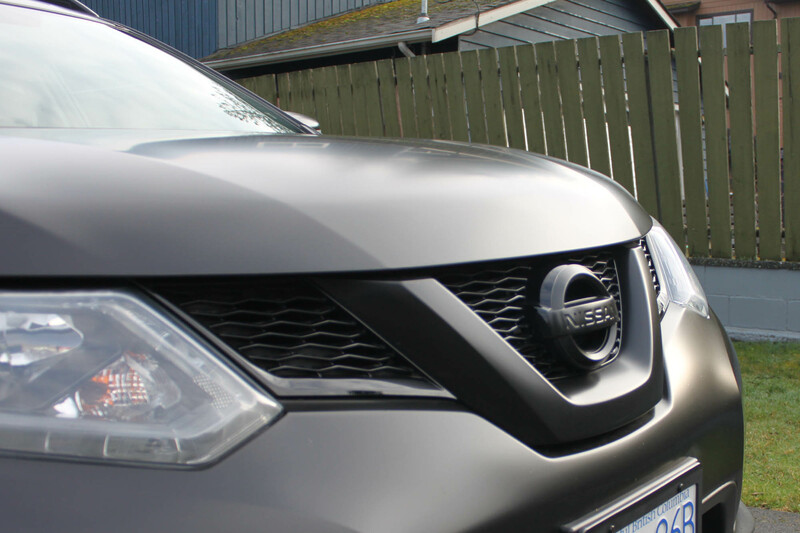 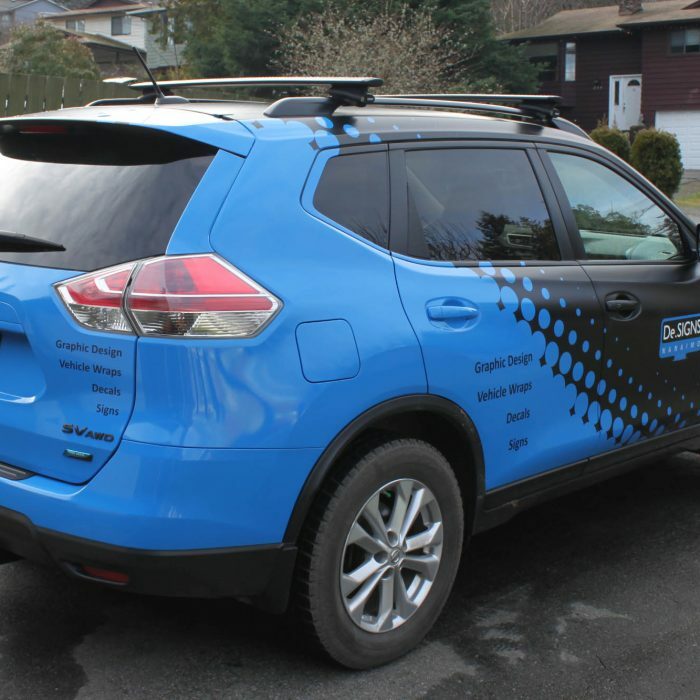 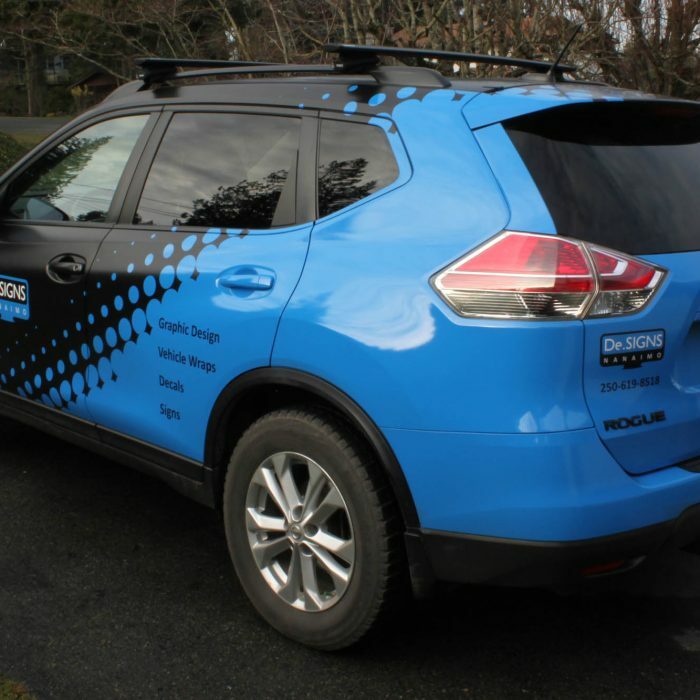 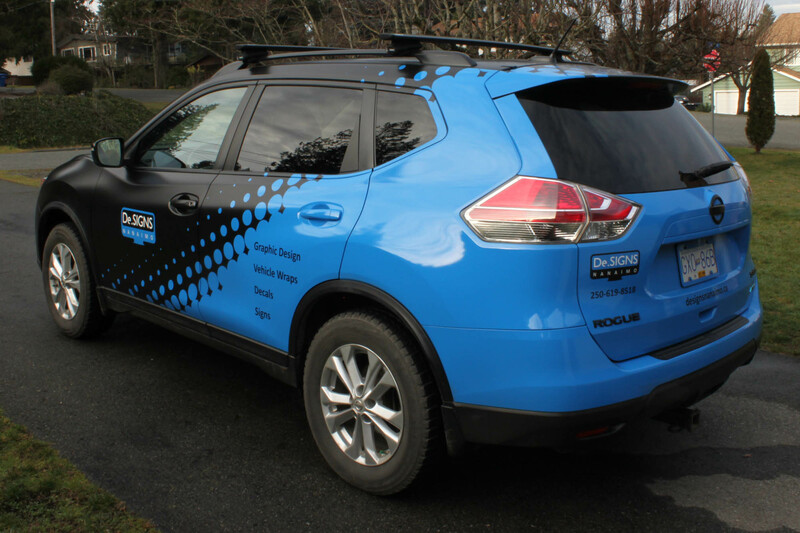 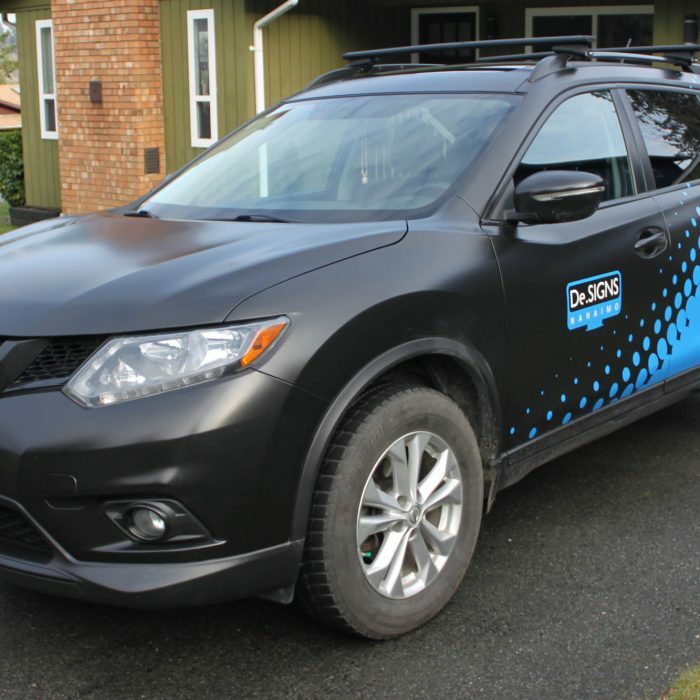 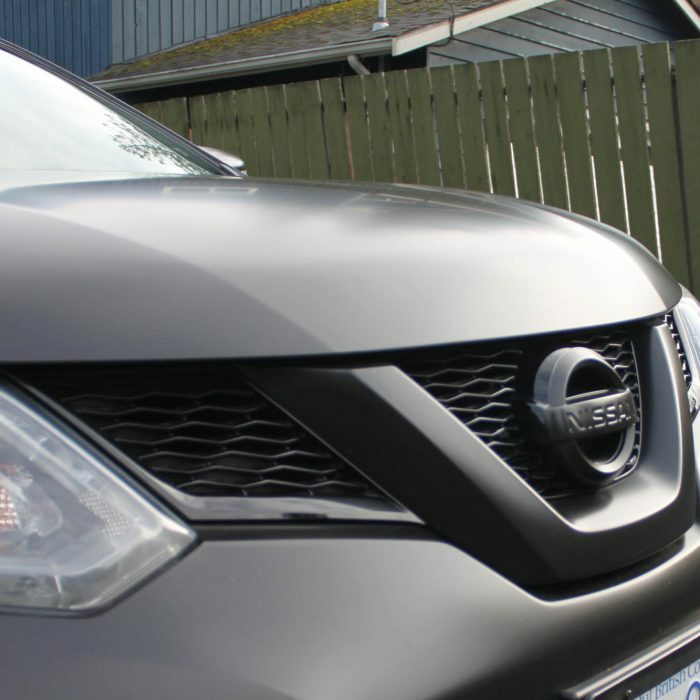 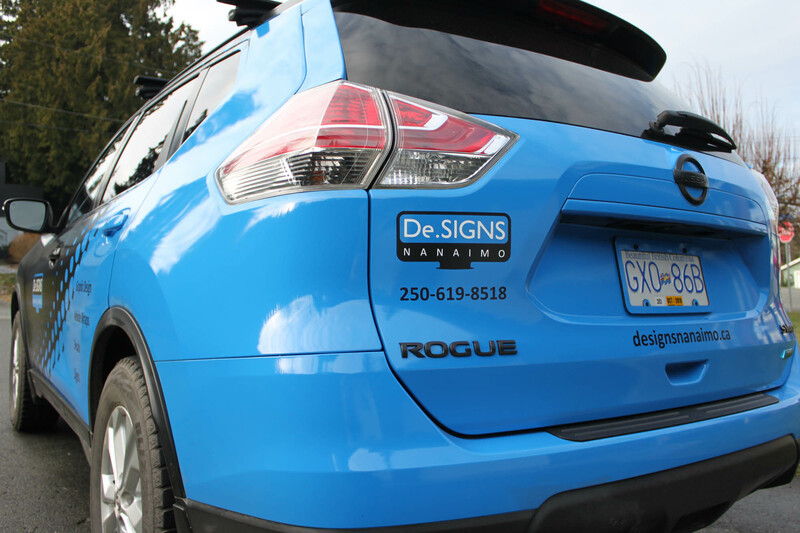 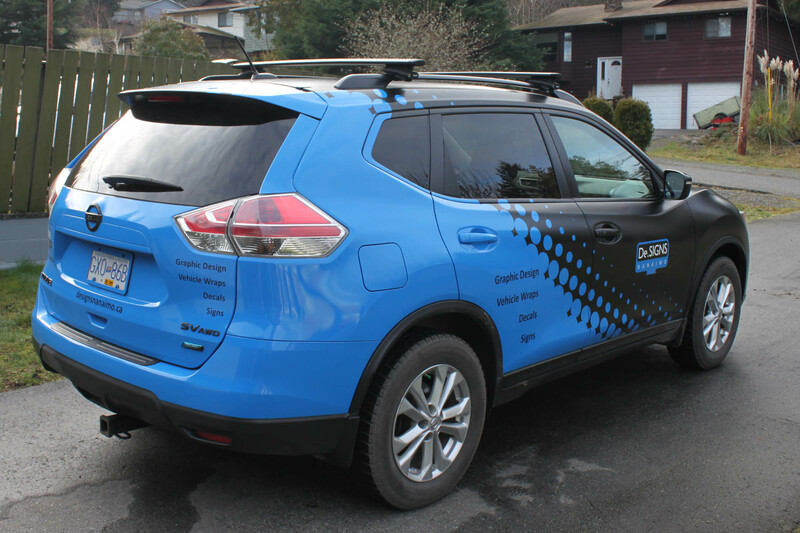 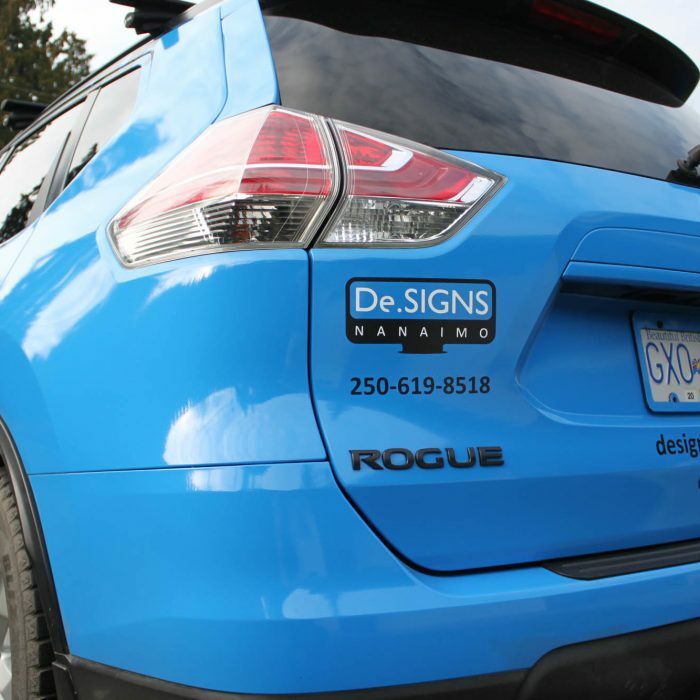 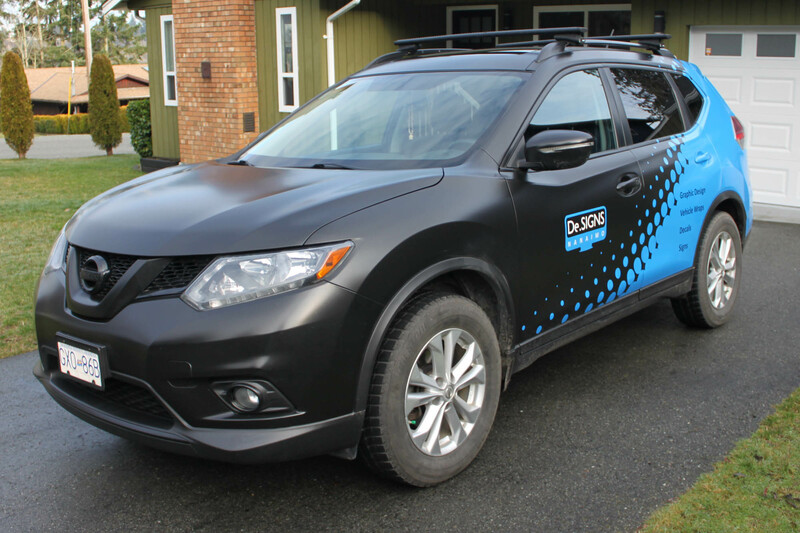 The entire vehicle is done with Avery Supreme Wrapping Film, the colours are Satin Black and Intense Blue. 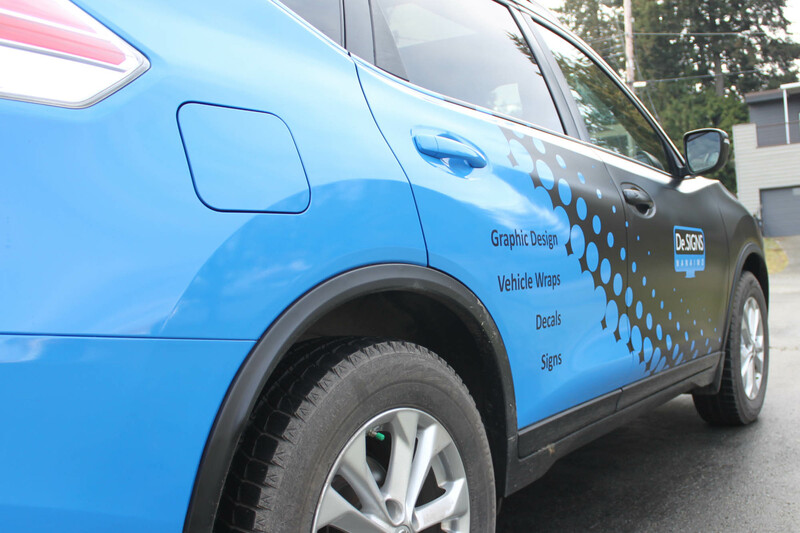 We have worked hard to finally bring our shop vehicle into the full wrap stage. 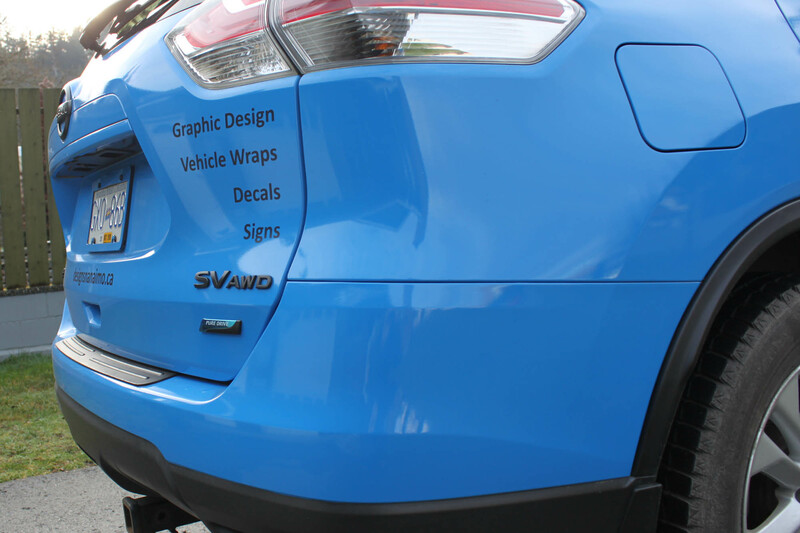 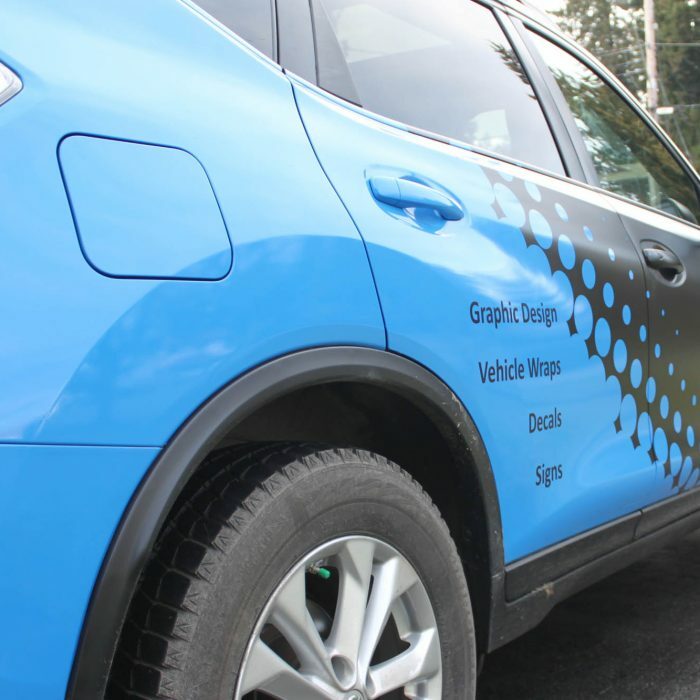 We wanted s simple graphic that would not overwhelm the information on the car, but still get noticed. 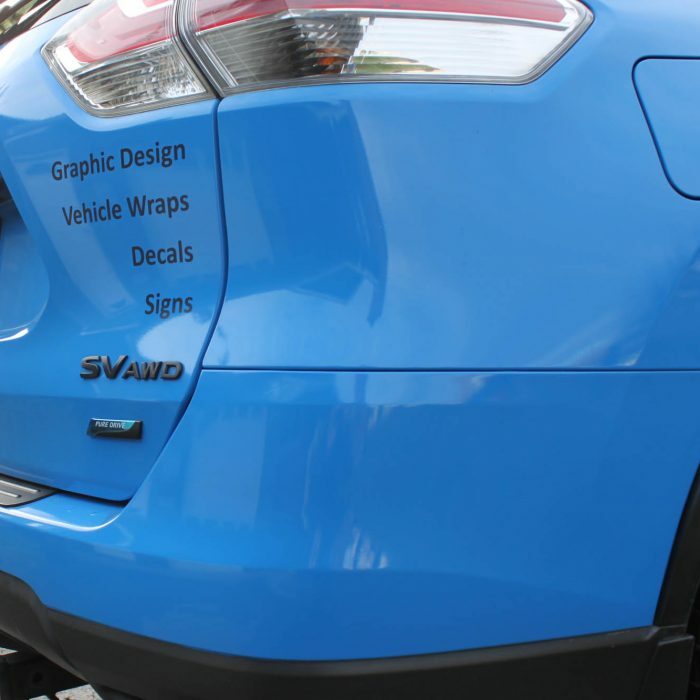 Because blue is still not that common of a vehicle colour the SUV get’s noticed everywhere it has brought in business the first week on the road!